AJ Oaks Building : Welcome to A Okay Building! Welcome to the blog of A Okay Building Limited! We'll try to keep you up to date with the projects A Okay Building Limited have on the go (because it's interesting!). A Okay Building are residential builders based in Lower Hutt but cover the greater Wellington area. If you need an experienced builder then we're the men for the job! We are also members of Certified Builders Association of New Zealand (CBANZ). Andrew has been qualified since 2002 and has been working in building for a few years before that. He started off working in his school holidays and has worked in both New Zealand and the UK on residential and commercial sites, with a specialty in high end architecturally designed work. Andrew has a (un)healthy obsession with Grand Designs and is pretty keen on his bbq. Andrew is a licensed building practitioner. 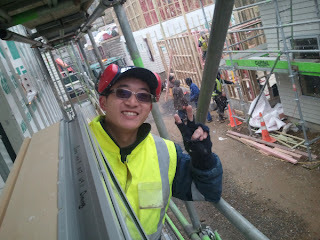 Ben has been working for Andrew for a couple of years and is currently completing his apprenticeship. He likes pies, his mum cooks awesome dim sum and he's not bad with a hammer. 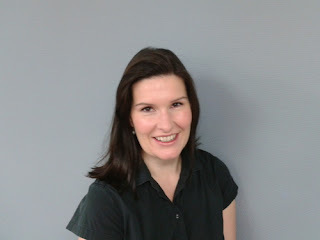 I'm Nichola and I look after the accounts and administration side of the business. I love airplanes and checking out what Kate Middleton wore each day. I have my own Employment Relations consulting business.